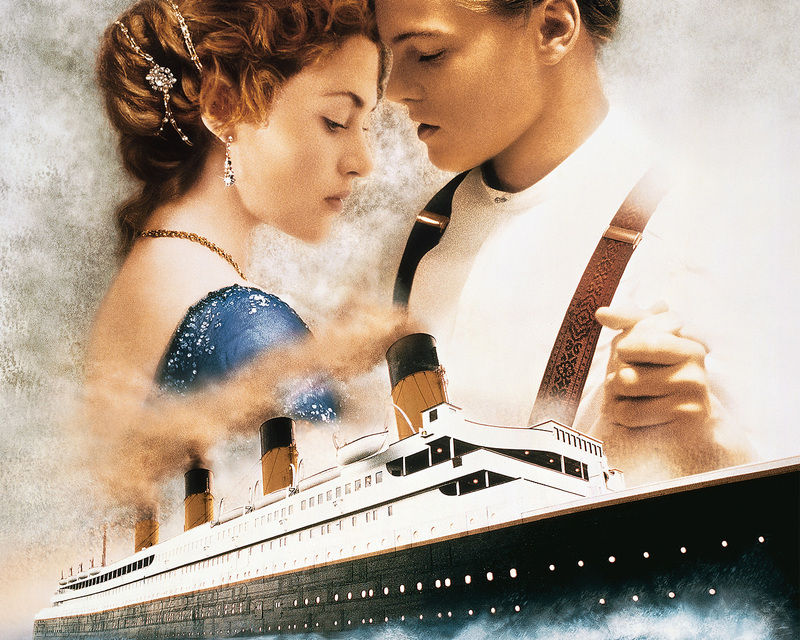 Or “Titanic” with it’s epic romance of obligatory relationships, love-at-first-sight whims, artistic interludes and music that could pluck the heart strings of even the coldest heart. I loved Jack and Rose…and how he showed her that she could let go and be free…to answer the call of her heart without compromise. How to live for herself and not others…how to be okay with not having the world in material possessions…to have the world in her soul. Yea…I love them, too. I could’ve chosen those (amongst countless others that have had me snotting as I lived vicariously through the lead couple’s ups and downs, realizations and sometimes not-so-fairytale endings) but, the one that had the most range of love and emotions was, “The Notebook”. God, I could’ve been Allie. At one point in the movie…she’s being asked what SHE wants and all she can think about is who she’ll hurt. I could’ve been NOAH for goodness sakes…pining away for a lost love. Having that gaping void that no one could occupy but the one who made you freer than you ever thought you could be. Yet, the love that rounds it out the most…is the spin on the story that begins the whole movie. Noah as an old man…living in a nursing facility (though he doesn’t have to) to tend to an ailing older Allie who is now suffering from dementia. This dude is sitting there…DAILY, re-reading a book of their love story…JUST so he can capture a glimpse of the woman he remembers. The woman who remembers HIM. Imagine…loving someone SO much, that you cant and won’t let go in your heart. You pursued them until you couldn’t anymore…and then when given an opportunity, you seized it and was always willing to let them go if it was what THEY needed to do…loving someone enough to let them go. That hurts more than being let go or letting go because you felt they weren’t the one. To have a chance to get right what went wrong is beautiful…it ain’t everyone’s story…but, it’s a hell of a love story nonetheless. 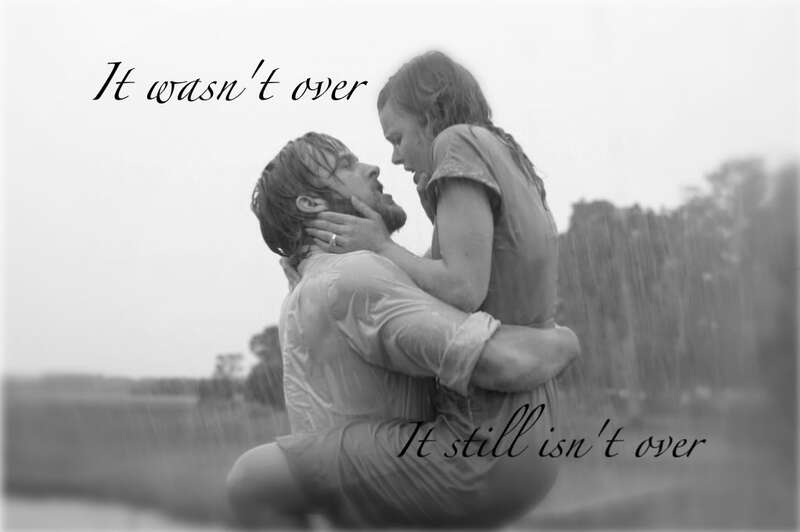 Yea…The Notebook was and is a classic romantic movie for me. If it came on now (no commercial interruptions) I’d watch. I cannot watch that movie on network TV. It kills the flow. I must watch without any scenes being edited for a 2hr time slot. A story of epic proportions…spanning from sweetheart love to “the end of time” love. Everything I’ve ever thought love could be. Well, I’ll be GOT dayumned…lol. Someone LOVES my blog. Well, I’m sure she’s talking about “Passion Fruit” because that’s where I post the sensual side…but, nonetheless it’s still so cool to be appreciated for my literary endeavors. Things like this are always RIGHT on time. Just when you’re needing a little support, love and acknowledgement…in comes something so simple, but so meaningful. Thanks to Cook.the.Poet for loving my blog!! 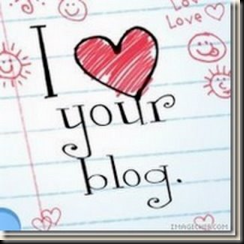 I’m gonna tell you whose blogs I love. I’m only doing 7 because I LITERALLY could do this all day. Deez Nailz is such a cool site for ladies dedicated to the love of the mani. She experiments with colors and styles and posts some VERY unique designs. Definitely for the girly girl. Krissy’s One Stop Beauty Spot is just that…she’s prolific in all things cosmetic. Gotta love her. My inner thoughts…ME is the very personal blog of my girl Diva. She’s such a tease…but, she delivers! soulbrother v.2 is the blog of a brother that goes by Max Reddick…he dissects the everyday issues, but from the view of a very intelligent, unique and funny perspective. kiss.the.pen well, she’s my fave kissy face in the whole world. LOL She and I have become each other’s stalkers. Her poetry, stories and love of music, make for a very kisstacular blog read. THE INTERSECTION OF MADNESS AND REALITY is just damned that. It’s insane AND real. Rippa’s a personal friend of mine, whose blog is all about the shock value and the very open and unapologetic perspective of a black man…if you can get past the shock to see the real. Last, but damn sure never least…my blog model, [FUNG’KE] [BLAK] [CHIK] is my friend…my P.I.C. and if you want to laugh, think and possibly bob your head to the off beat in her head…give it a try. You WILL enjoy her wit.